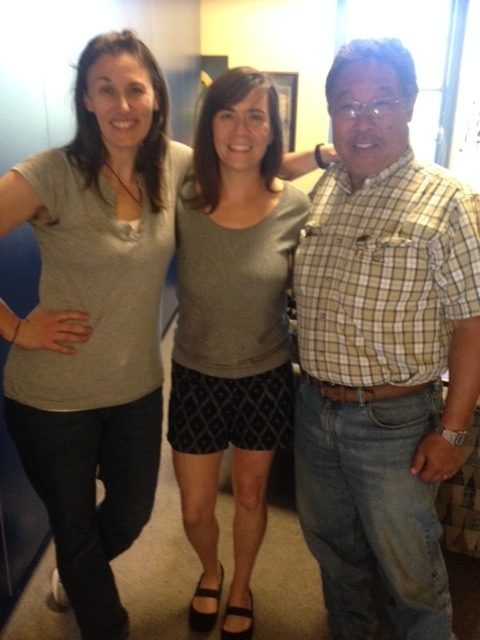 My name is Susan Singley and I am incredibly happy to be the new Program Manager for GleanSLO! I recently relocated to SLO County from Fort Collins, Colorado. Simply put, my passions are community and food! I have had many incredible opportunities to work, learn and live in great places, with great people, and couldn’t be happier to have landed in San Luis Obispo County. 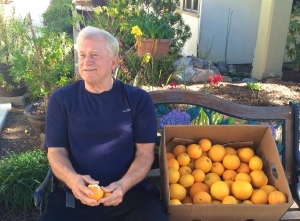 Most recently, I was working for a Food Bank, handling local food donations (including farms, gardens and gleanings) at the Food Bank for Larimer County. I have a Master’s in Sociology from Colorado State University and did my undergraduate work in Sociology and Psychology at California University of Pennsylvania (It’s in a little town called California, PA, which was a Pittsburgh-area steel boom town, no relation to the UC or CSU system!). 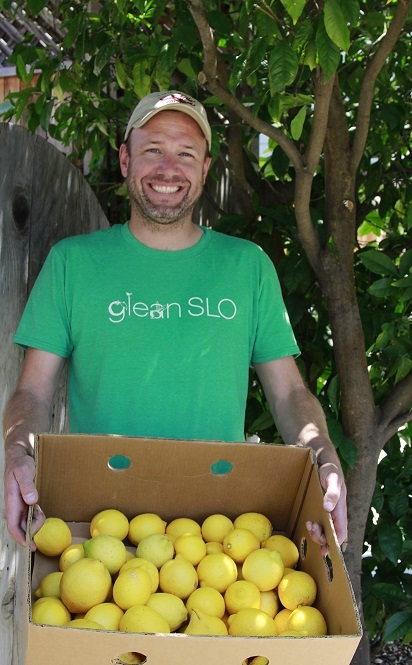 I learned about GleanSLO by accident! I was researching the Food Banks in the Central Coast and reading more about the work they do, just to get a feel for where I might fit if I moved here. When I found out about GleanSLO and the SLO Food Bank, and after reading the mission and vision I said out loud, “That is exactly what I want to be doing!” The Program Manager position was not posted at the time, but when I checked back a couple weeks later, it was, and I sent out my resume and cover letter the next day. 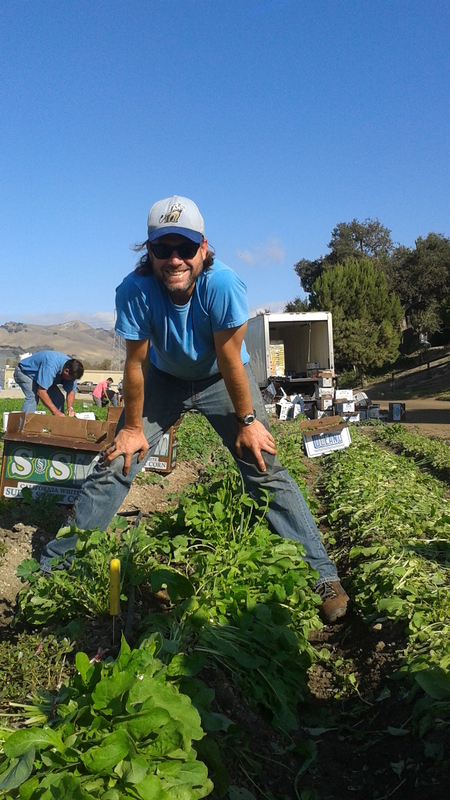 I’m really attracted to the gleaning movement because of all the needs that it meets for the community. 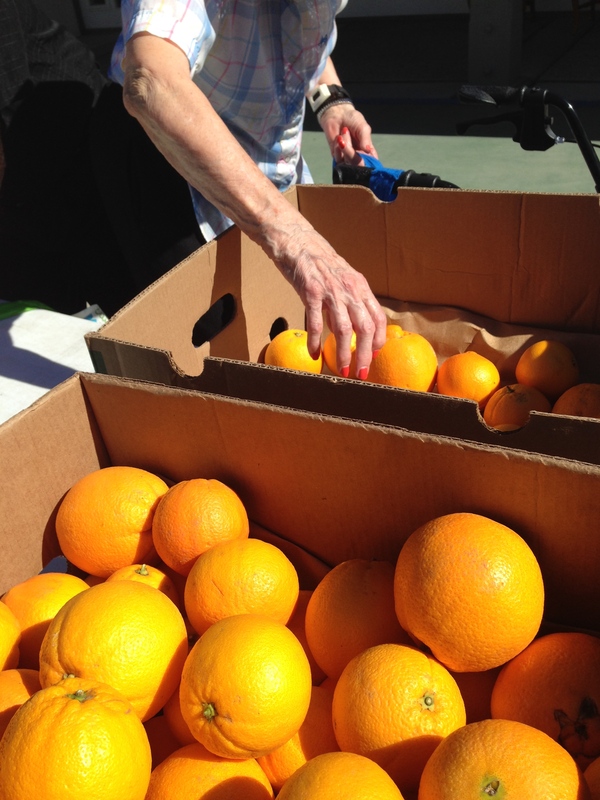 Gleaning meets immediate food needs for those struggling to make ends meet for their families. But that is just the beginning. It also meets needs for people who want to help out and get connected to the land and just help out in some way – human beings have a strong need to feel deeply connected to the earth and to each other. 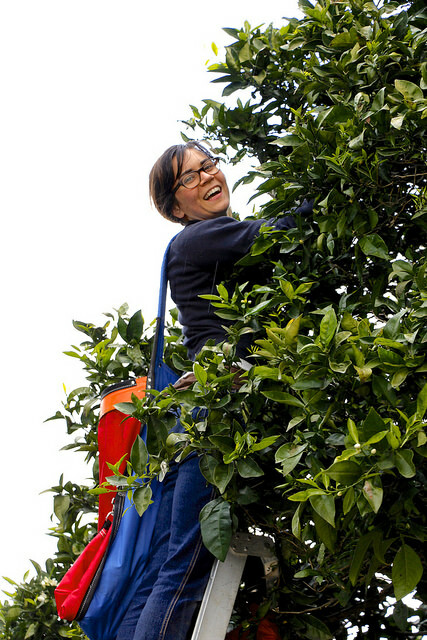 And the act of gleaning is a very fulfilling for people who do it. Gleaning also meets needs for farmers and backyard growers who invested time and resources into the food they grew. Every grower I’ve ever met has one thing in common – they want to see their food eaten and not have their efforts go to waste! The fact that the food is there – it’s being grown and resources are being invested in it – is incredibly motivating to me. 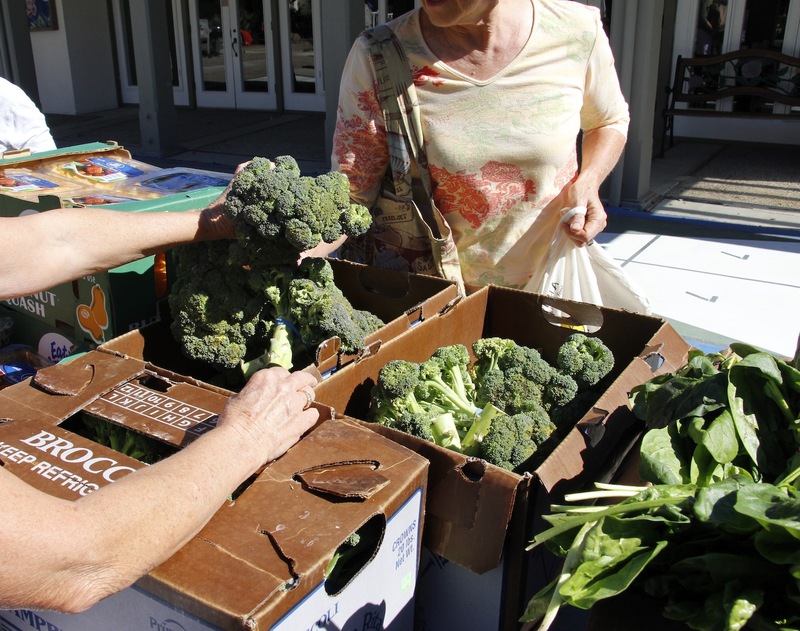 I believe that it is unacceptable that thousands of people (1 in 6 people in SLO County) struggle to put food on the table, while an estimated 58 million pounds of food goes unharvested. Please tell us about the work you did in your last job. 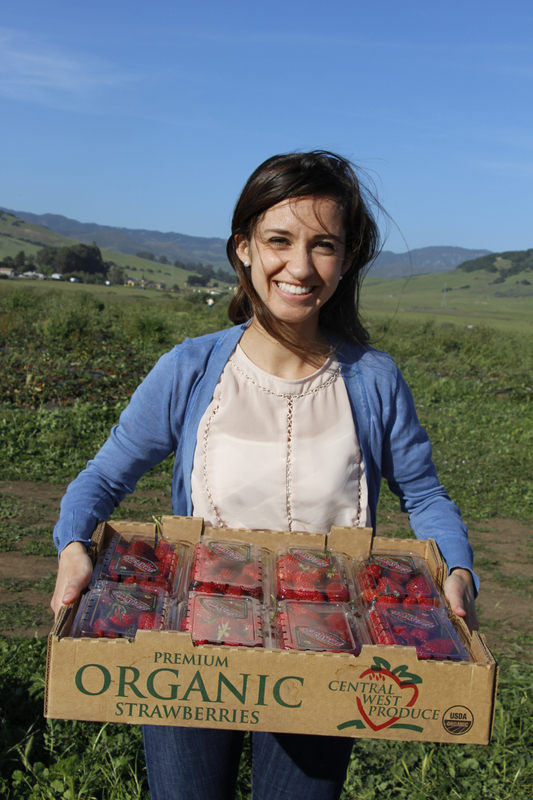 Anything that you hope to incorporate into your position at GleanSLO? The deeper issues of poverty and inequality are complex, but there is one thing I have been convinced of since starting this work: I believe that hunger is a solvable problem. 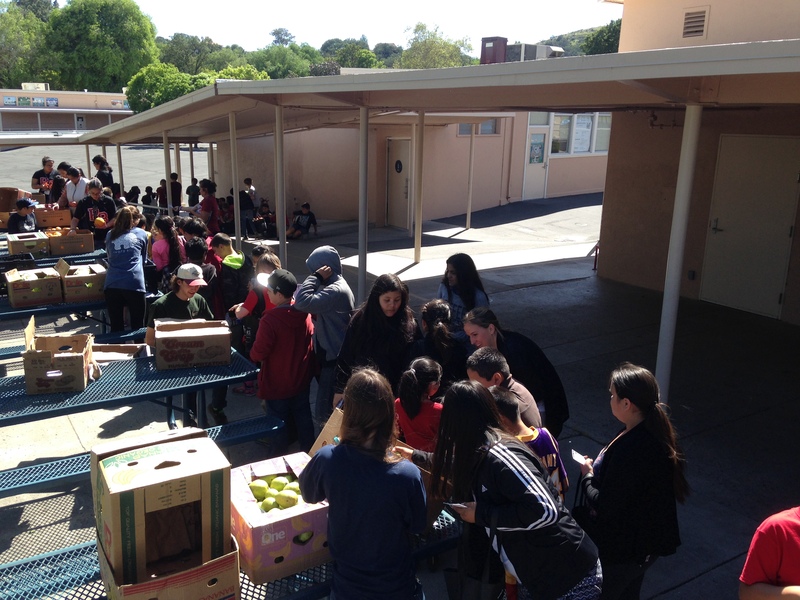 Communities can come together to help meet needs of our most vulnerable populations, just by gathering the food that is already out there. My last job involved working with all of the Food Bank for Larimer County’s local food donors – retail/grocery stores, food manufacturers, as well as farms, farmers markets and backyard gardeners. 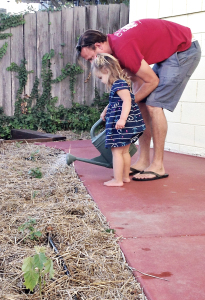 I had been working really hard to build relationships between growers and backyard gardeners with that Food Bank, and part of the impact of that was helping change the community’s perspective on what a Food Bank does. There is still sometimes an outdated idea that a Food Bank is a musty old food pantry full of outdated cans! 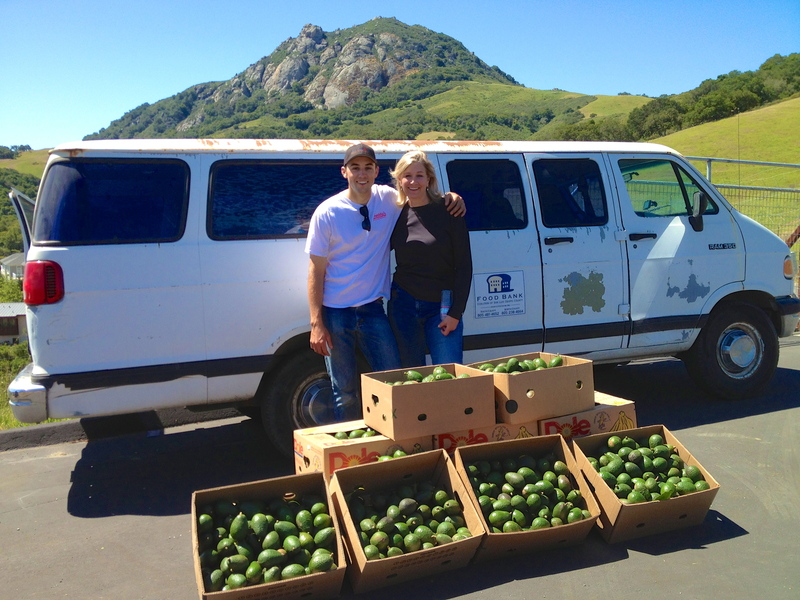 Modern Food Banks are amazing fresh food rescue organizations with a lot of logistical expertise! 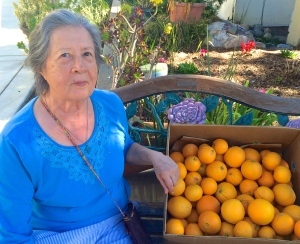 Food Banks across the country have worked incredibly hard to build their own capacity and that of partner agencies to distribute fresh produce, dairy, meat and other healthy, nourishing foods. 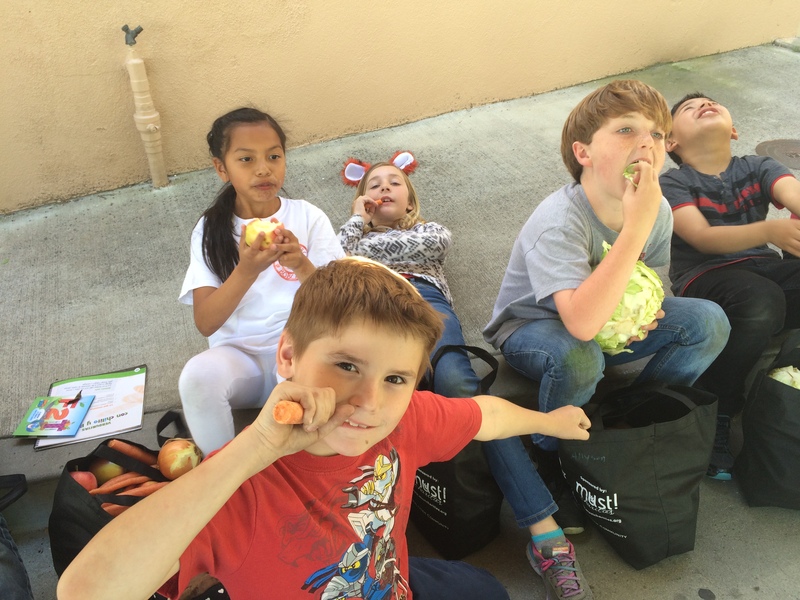 The push for fresh food in Food Banks is driven by respect for the needs of our local families. If we really want to help, we need to provide them the best food possible to help nourish their lives. 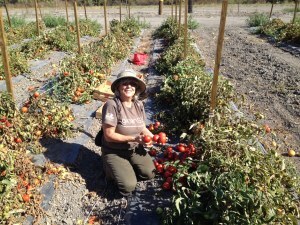 I love helping growers and gardeners realize that they are making a real difference for people in need. There is so much potential for GleanSLO. The founders, Steering Committee, staff and volunteers have done an incredible job of building a strong and sustainable program. I’m so impressed with everyone I’ve met here! 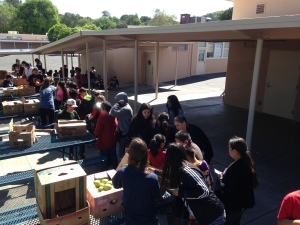 I see the potential for community connections increasing as we see where the greatest needs are and how we can keep our program grassroots and flexible enough to see what the needs are and how to meet them. 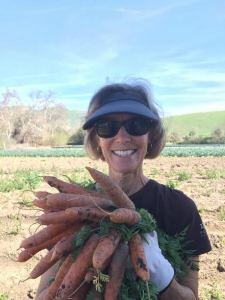 I definitely think there are more opportunities to partner with farms and do farm gleans more often, so I’ll be looking into how we can keep making those connections. 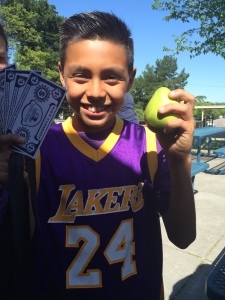 I think our Neighborhood Harvest Leader program is a great way to empower our volunteers and expand our reach, and hope to see us training more harvest leaders as well. I think it’s important to take time to grow thoughtfully so I will be taking a lot of time to get settled in and find out where the community feels we need to focus next. Will you share one of your favorite recipes? I’m a huge fan of cooking in large batches (often over the weekend) and saving time on weeknights when I have less time to cook. I love making simple dishes like sautéed greens and roasted roots. When I’m looking for new ideas, I love www.101cookbooks.com and www.smittenkitchen.com. First, shred about 1.5 pounds of carrots in a food processor and set aside. Mix one more time in food processor and add whatever you need to get it to a texture you like. Enjoy in sandwiches, as a dip, with crackers, or by the spoonful! This entry was posted in GleanSLO Interviews, Uncategorized on 03/30/2015 by gleanslo. Pictured above are Brian Talley, Olivia Talley (center photo), Mission College Prep students, Charlee Bunnell (SLO Food Bank employee), Andrea Shapiro Chavez (Manager, Talley Farms Fresh Harvest). 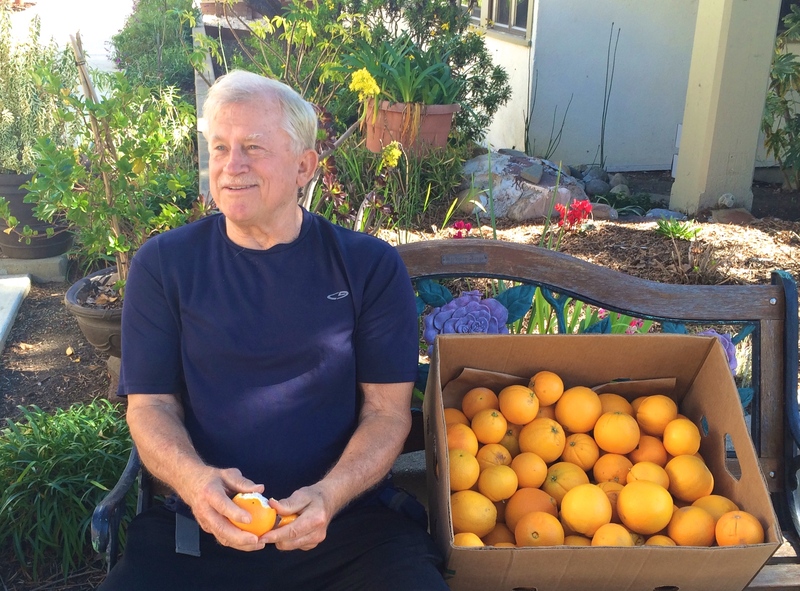 The Talley family has been donating harvested weekly fresh produce to the Food Bank for more than 4 years, donating more than 300,000 pounds of food since 2010. The Oceano Food Bank warehouse team has been receiving this produce and sharing it within 24 hours with Food Bank agencies and recipients. 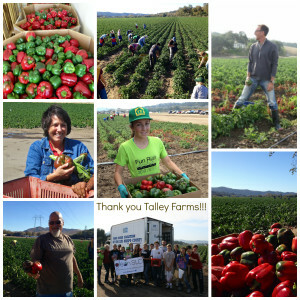 In 2012, the Talley family generously welcomed GleanSLO and Mission College Preparatory Catholic High School students for a bell pepper glean. 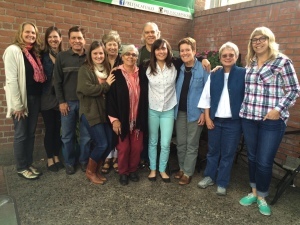 Hosted by Brian and Johnine Talley as well as their daughters, this glean opened the door to future opportunities. 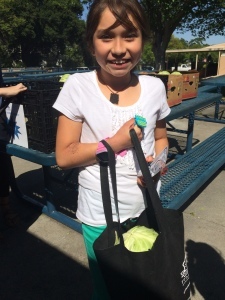 GleanSLO is grateful to the Talley family, both family members and employees, for their generous spirit in not only allowing us into their fields, but by additionally believing in the importance of supporting a healthy community and donating already harvested produce each week. We want to thank the Talley family for their generous contributions! We would love to know more about the Talley history! What is your connection to gleaning and GleanSLO? 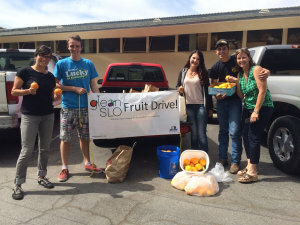 I first heard about GleanSLO from participating in the SLO County Food System Coalition. 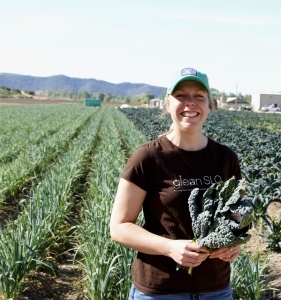 I always think of calling Jen Miller, GleanSLO Program Manager, when we have extra product in our Fresh Harvest fields and don’t have the labor to harvest it. Jen is so enthusiastic about life and her job with the food bank. I love communicating with her! 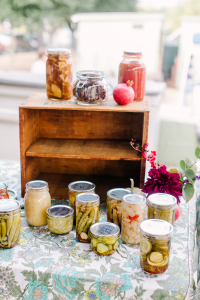 If we have the labor, we’ll go ahead and harvest the product and then donate it directly to the food bank. What do you like about GleanSLO? What I like the most about GleanSLO is we don’t have to use our labor to harvest a crop that we have chosen not to sell. And it doesn’t get wasted! All the volunteers are so positive and energetic. It’s great to see them out in our fields! 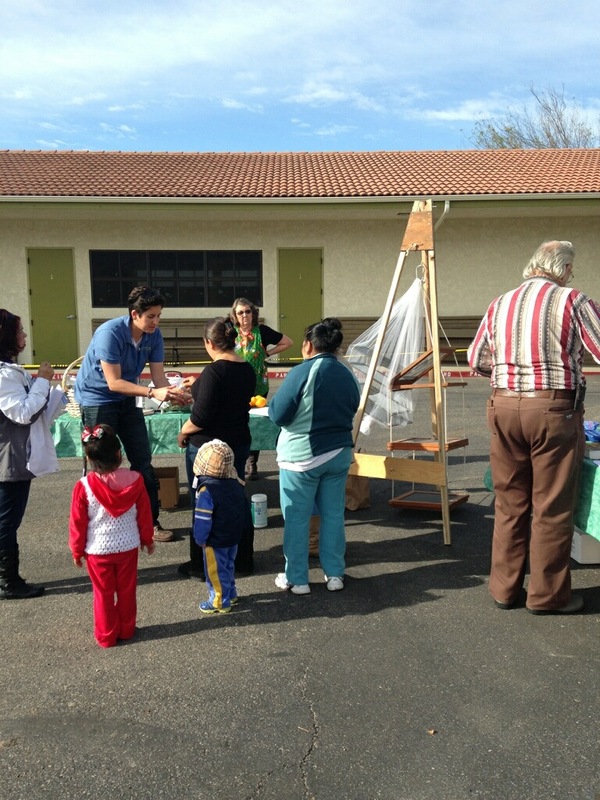 Can you share ideas with us about the future of GleanSLO and the vision for a healthy community? As the word gets out about GleanSLO and your ability to gather your volunteer troops to harvest, more and more growers will be calling you to finish up certain fields that they may not want to sell due to market conditions. There are three of us at Talley Farms that communicates with Jen about fields available for gleaning. As Jen gets to know more and more growers, there will be more product available for the food bank. Any messages you’d like to share with other farmers who might be considering working with GleanSLO? Jen Miller is the key to having a warm and consistent relationship with GleanSLO and the food bank. 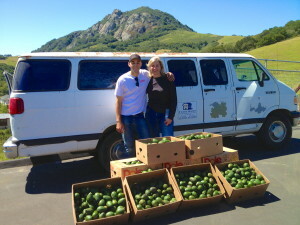 We are also happy to see volunteers who are aware of food safety standards that we follow in our fields. We do not usually allow volunteers or strangers in our fields. 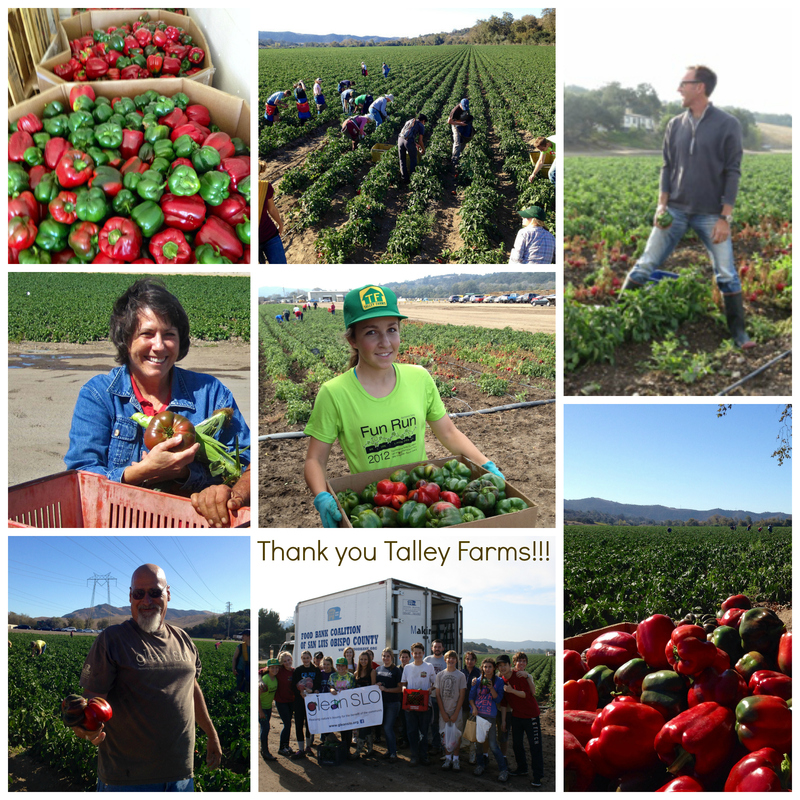 50 volunteers gleaned over 6,000 pounds of bell peppers and onions in less than 2 hours at Talley Farms. 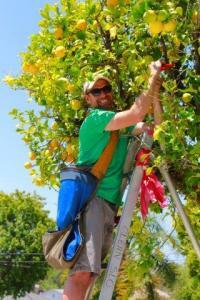 This entry was posted in Farm Harvests, GleanSLO Interviews on 10/29/2014 by gleanslo.